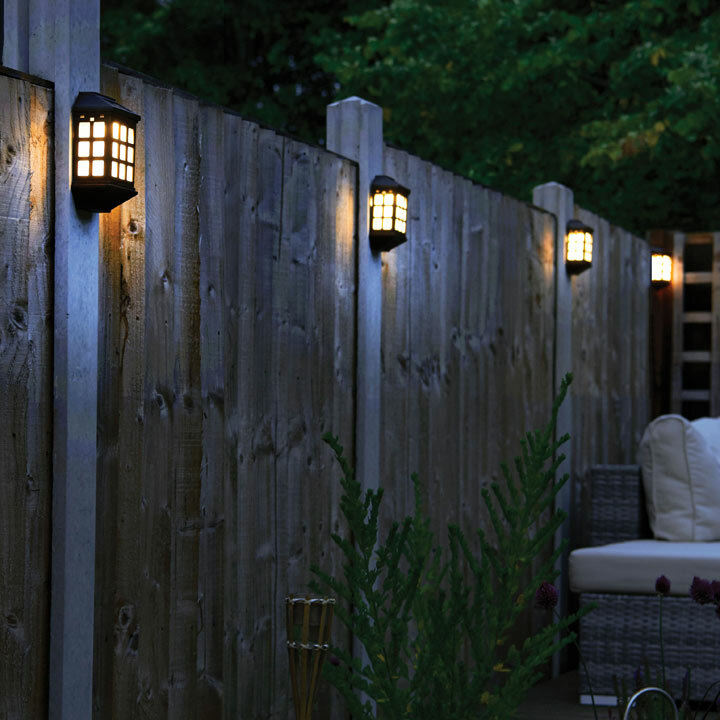 Provides ambient warm white light and is ideal for mounting on to fence posts, walls or near outdoor steps. Each unit has a polycrystalline silicone 2V 50mA solar panel which charges during daylight to provide up to eight hours of usage. 1.2V 600mAh Ni-MH battery included. 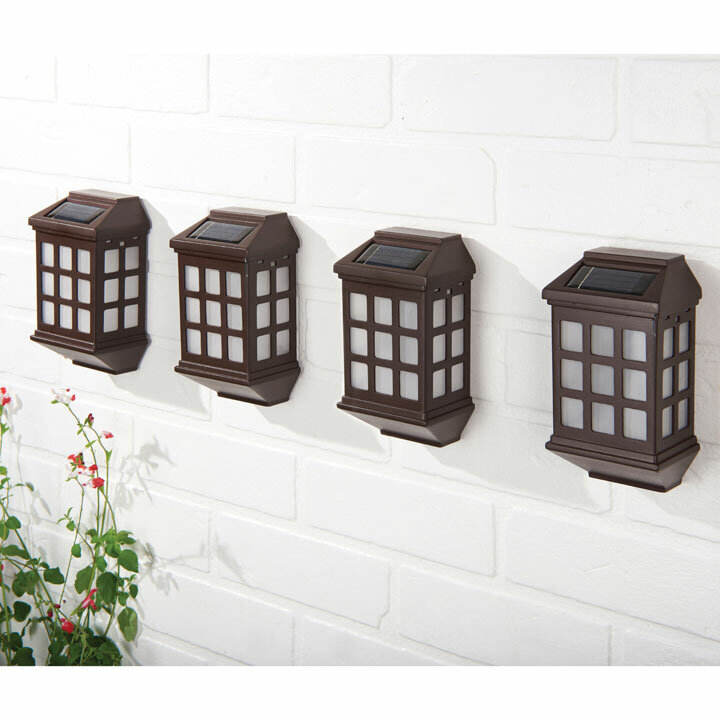 Made from a durable weather resistant plastic and designed in a classical style with square white widows. On-off switch. Fixings included. Pack of four. Length 9 x width 6.5 x height 17cm. 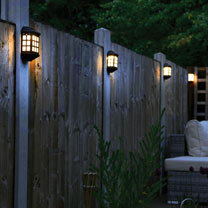 Provides ambient warm white light and is ideal for mounting on to fence posts, walls or near outdoor steps. Each unit has a polycrystalline silicone 2V 50mA solar panel which charges during daylight to provide up to eight hours of usage. 1.2V 600mAh Ni-MH battery included. 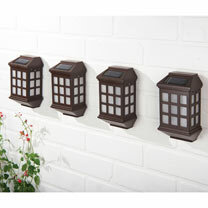 Made from a durable weather resistant plastic and designed in a classical style with square white widows. On-off switch. Fixings included. Pack of four. L9 x W6.5 x H17cm.